Education plays an important role in the development of a country. The understanding of education system will give us a glimpse of the overall picture of Thailand. In my following paper, I am going to introduce the history of Thai education system and the basic structure of school level in Thailand. The status quo of Thai education system will also be discussed with focuses of English education in Thailand, standard tests in Thailand, school uniforms, and government school holidays. Education in Thailand began in 13th century, when Ramkamhaeng the Great created Thai alphabet. 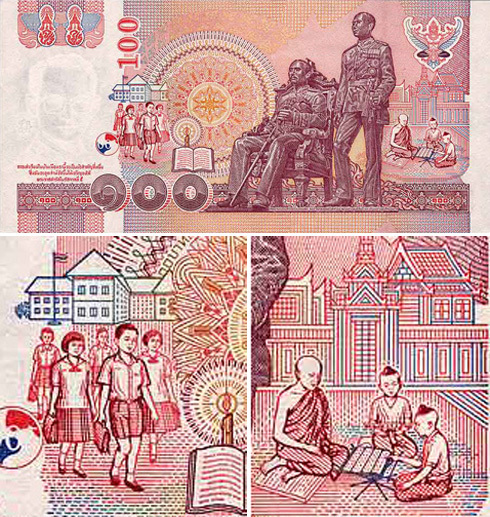 In the early period of Thai education, members of the royal family and nobilities received education from Royal Institution of Instruction (Rajabundit), while commoners received education from Buddhist monks in the temples. In Thai’s traditional education system, village temples were places where most young boys received basic education. Such village temples received boys from the age of eight to serve in the temple as dek wat (which means “the children of temple”). The dek wat helped to do some housekeeping works in exchange for instructions in reading and writing. Scriptural texts were used as textbooks for educating commoners in traditional Thai education system. The traditional education system prevailed until the 18th century (Ministry of Education [MOE], 1998).